As I often do on my several-mile walk to work, I took the opportunity yesterday to listen to my favorite food-oriented (and indeed, favorite) podcast, The Sporkful. The episode I enjoyed that morning pertained to apples and oranges and to a general comparison thereof (even against the strong headwinds of prevailing wisdom). 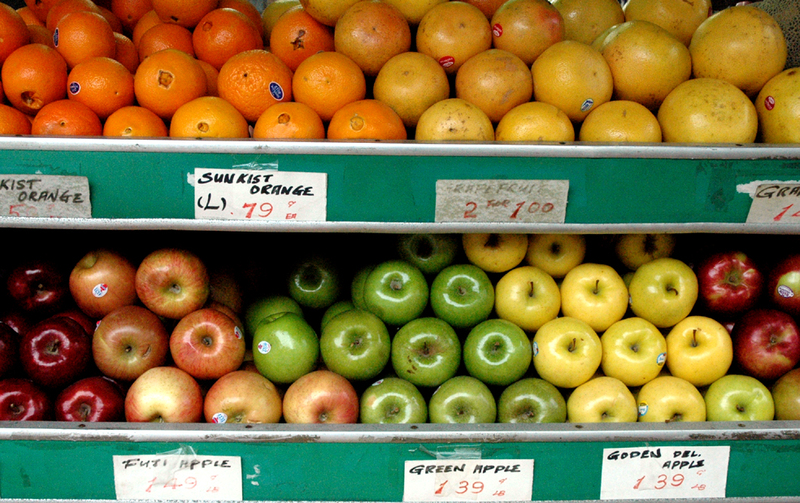 Now, The Sporkful, I feel, exists in the same food-space as this blog. As Mark and Dan, the gentleman podcasters behind the show articulate, The Sporkful is "not for foodies, it's for eaters." I feel the same way about Hungry Sam, which is why my posts range from a determination of the categorical imperatives of salad to the recipe for my vanilla chai-infused french toast. Ecclectic? Yes. Insane? Maybe. Interesting? You tell me. 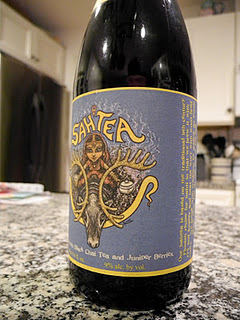 I first tasted Dogfish Head's Sah'tea beer several months back, and I was hooked. It's one of their "super-expensive-only-comes-in-750-ml-bottles" varieties, but I was lucky enough to find it on tap for normal prices at a time when I was feeling adventurous in my beer selection. Now, don't get me wrong. As you know from my thorough exploration of Custom Brewcrafters over the summer, I do enjoy experiencing new and exciting developments in liquid bread. However, when I hit the bars (let's face it, I'm an old man. When I hit "a bar"), I often set aside my Magellan-like indefatigability and opt for a basic sipping beer. Put differently, sometimes, you don't want The Bridge on the River Kwai; you just want to watch a rerun of How I Met Your Mother. You don't want Star Wars: Episode V - The Empire Strikes Back; you want Star Wars: Episode IV - A New Hope. On this fine evening, however, I was piqued to try something new. I chose the now-fabled sah'tea, nevermind that I had no knowledge or understanding of the pleasures that awaited me. Obviously, I'm now a fan -- both because of the magnificence of the beer as well as the knowledge that the sah'tea is Dogfish Head's creative, modern spin on a Finnish style of beer called sahti.